Author note: This article is a humble attempt to contribute to a critical balance sheet on the process of change and the present political situation in Venezuela. It does not pretend to be an exhaustive document, and we recognize it presents theoretical limitations. Our analysis is constituted from the gaze of an open-minded revolutionary militant rooted in libertarian communism. An essential source of these reflections arises from a series of interviews with militants and social organizations in the city of Caracas and the state of Lara during February 2016. Translator note: This article proved difficult to translate due to the denseness of ideas and because the political analysis and terms are mostly used and understood in Spanish. This article is better understood if the reader has a general understanding of the history of Venezuela and Latin America. Editorial note: This article was published in June 2016 and was written by members of Solidaridad, a libertarian communist political organization in Chile. The translator, Romina Akemi, is a dual member of Solidaridad and Black Rose/Rosa Negra (US). In the last 17 years, Venezuela has experimented with a process of advanced social transformation both from an international and local context. Alongside the re-positioning of socialism as a horizon to conquer, this process has permitted the politicization and development of an extensive popular movement with profound and historic roots beyond the 1992 rise of Chavez. Venezuela’s growing influence in Latin America mainly took place between states and governments, projecting -in the discursive level- a Latin American revolutionary pole that necessitated a break from the hegemony of the United States. However, like all processes, Venezuela has developed multiple contradictions. The Bolivarian government managed to impose a redistributive politic that permitted the allocation of a significant part of the oil income toward improving the living conditions of large sections of the population during the past 17 years. Yet, there have been no clear steps towards overcoming the oil rentier model under a socialist perspective. Government executives have remained trapped between an appointed state capitalism politics and built-in alliances with sectors of the “productivist” bourgeoisie. These strategies have failed in their objective of diversifying the productive matrix of the country, which has placed a toll on the popular movement in terms of the loss of its autonomy against the business sector and the State. The Bolivarian government’s main domestic income comes from the nationalization of petroleum production and the redistribution of its surplus to large sectors of the working class previously excluded. This led to the implementation of social policies that raised the standard of living and the dignity of the working class. However, this did not imply displacing the hegemonic condition of the bourgeoisie within the economy, since the private sector remained practically intact. In fact, the same Bolivarian project assigned to the “nationalist and productive” entrepreneurship played an important role in the changes brought by the Bolivarian process. The current economic crisis is a reflection of the limits of Venezuelan rentier capitalism to sustain the processes of popular inclusion and elevate the standard of living of the working class. In parallel, the bourgeoisie maintains high rates of profit that are not treated as a failure of the socialist experience. In fact, discussions about the possible outcomes point to the need to cut this distributive balance between classes, either by making the working class or the bourgeoisie to pay the cost of crisis. On the one hand, there are those who expect the typical neoliberal adjustment measures (reducing social spending, price liberalization, job insecurity, etc.). On the other, proposals for expropriation (control of foreign trade, nationalization of banks and strategic enterprises, increased tax burden on the bourgeoisie and especially an end to its subsidies) arise. Even with more or less emphasis on popular control of such measures, the government and other state powers remain the arbiters of these interventions. 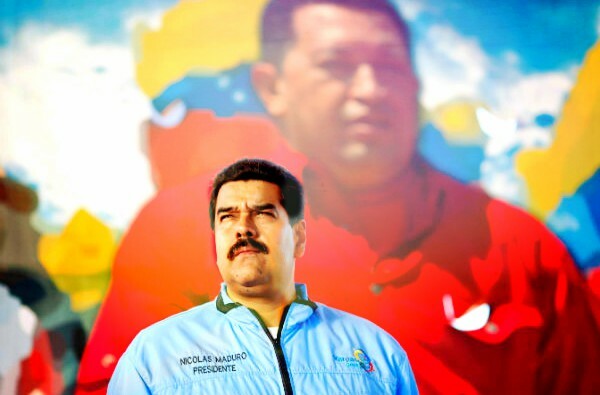 The electoral defeat of the ruling elite opened the possibility for the Right to dismantle the redistributive policies of the Bolivarian government, but also allowed them to openly plan Maduro’s exit before his term ends. If we consider Maduro’s loss of influence within the PSUV and the ineffectiveness of the measures promoted by his government to overcome the economic crisis, a scenario is set in which Maduro will lose the executive in the short term. In this context, a considerable part of the PSUV and the government are promoting a policy of rapprochement and negotiation with sectors of ‘productive’ businessmen, seeking to deepen a partnership with this sector as a tool to overcome the economic crisis and stabilize the political situation. This attempt will sharpen the alleged contradictions between this “productivist” bourgeoisie and its “parasitic” sector. The prioritization of the alliance with the bourgeoisie unsettles the balance of forces within the popular masses. This is expressed in the sharpening of contradictions between advanced sectors of the working class and the Bolivarian government. 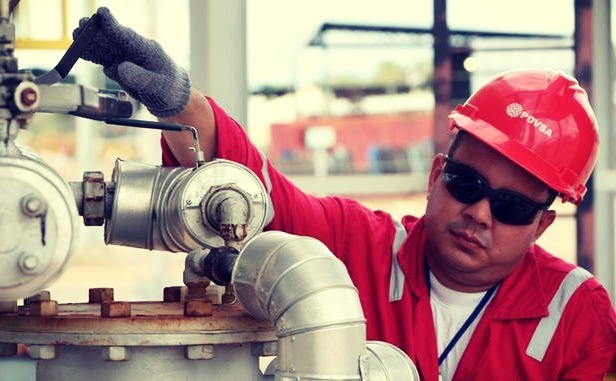 As an example, we note that the conflict affected workers in the Empresa de Propiedad Social Directa Comunal (EPSDC) “Proletarios Unidos” and in conjunction with the commune Pío Tamayo in the city of Barquisimeto, in the state of Lara. The EPSDC “Proletarios Unidos” arose from an initiative by Brazilian workers in the Brahama brewery, who from unjustified abandonment by the company decided not to accept the settlement offered to them and chose to occupy the factory under the perspective of making it self-managed. From that moment, workers were forced to resist and confront the former owners of the factory and the right-wing Lara government. Government officials attempted to undermine and hamper the consolidation of the “Proletarios Unidos” project. In the process, workers began to dialogue with the “Pío Tamayo” communards, who have been involved in an interesting experience building popular power in both territorial and productive areas. However, despite the enormous effort by former Brahama workers and the Pío Tamayo commune, the government has considered the possibility of transferring the factory to the Cisneros Group, owned by an influential Venezuela entrepreneur and member of the Barrick Gold Corporation. This assumes that an alliance with this economic group that is an epitome of bourgeois “industry” would allow the government to undermine the economic power of Lorenzo Mendoza, president of Polar businesses, a group that currently controls the beer and food market in Venezuela. This situation is comparable to that experienced by other companies trying to be self-managed by the workers in alliance with grassroots organizations situated in the communes. In the city of Barquisimeto, companies under direct social communal property, such as Beneagro and Potters of Grez, have been hampered by business boycotts, as well as state bureaucracy and a policy of alliance between the government sectors and the bourgeoisie. 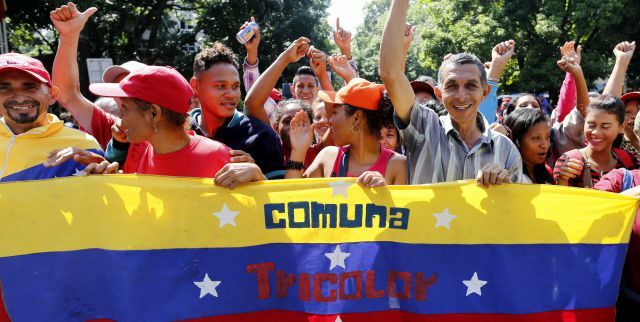 There is no doubt that the Bolivarian process, including its contradictions, has politicized broad layers of the population and created direct experiences in building popular power. Within the latter we refer to communes, companies under workers’ control, and autogestión (self-managed) neighborhoods–both urban and rural . [24,25] Unfortunately, these genuine organizations of the working class are far from being hegemonic. These organizations have to circumvent and overcome the clientelistic relationships that has deepened due to the government’s enormous economic resources. Over the years, these relationships have appeased the political initiative made by the popular classes. In reviewing recent Venezuelan history, what is noticeable is the more or less spontaneous response by working people that has altered the correlation of forces. This includes their role in halting the April 2002 coup, thereby opening deep changes for both Venezuela and the continent. In this case, neither the coup organizers nor the Bolivarian government considered that the working class would tip the balance towards deepening the process of change. It was the participation by the same people and the operational capacity of PDVSA workers that resumed oil production during the 2002-2003 oil coup, despite the disbelief by putschist managers. By that time, Chavistas had planned an organized response to the coup that could rely on popular support, which was the role taken by Bolivarian circles. Just after the 2002-2003 conjuncture, self-organization of the working class was strengthened in multiple forms of a mass character where youth and women took new prominence. In 2006-2007 this process reached its peak followed by a decline. From the massive networks of community media groups in ANMCLA, the union renewal that involved the creation of the National Union of Workers (UNT) against the broken CVT (Confederation of Venezuelan Workers) or the creation of Community Councils as forms of territorial self-administration, all had to face the problem of independence from the government. The breakdowns of some of these organizations (as ANMCLA) eventually transpired, as well as the disappearance and virtual replacement of others (such as the UNT by the Bolivarian Confederation Socialist Workers, CBST) and the clientelistic type acceptance of others (most community councils that today mainly receive income). The non-resolution to this problem from a perspective of class independence is at the root at what some identify as the decline of this self-organizational (autogestión) process. At the moment, it is clear that measures by the Maduro government have failed to open a path to overcoming the current economic crisis, which affects millions of members of the Venezuelan working class, including their more affluent layers. They are the ones who suffer daily devaluation of wages, shortages of medicines, and difficulty in getting food and other necessities. 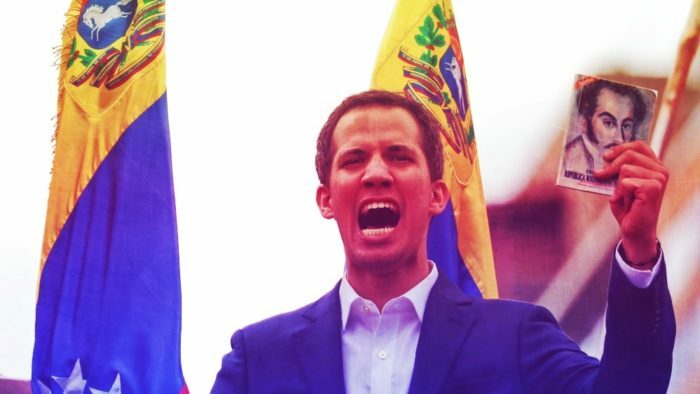 For its part, the opposition bloc pushes a strategy marked by a delicate balance between a position of strength on the streets – with fascist undertones – requiring Maduro to leave the executive and a late bid for a recall referendum under the Bolivarian constitution. This eventual referendum will be run during 2016 so that the Right can regain political power through the newly convened elections. Internationally, this strategy is articulated by the role of the United States and nearby right-wing nations. The constant infiltration by Colombian paramilitaries with the goal of increasing levels of violence and creating a situation of chaos is one of the most dangerous developments, if we also consider the constant calls to implement a democratic charter of the OAS (Organization of Latin American States). Both elements heighten the possibility of foreign military intervention. This does not mean that intervention will occur, but the threat is an element of pressure. Maduro’s government has deepened its alliance with the entrepreneurial ‘industry’ sector, while becoming increasingly authoritarian by strengthening ties with the army leadership with the intent to delay the recall referendum. [35,36] Meanwhile, it is well-known that secret negotiations continue between the government and the political opposition to discuss a peaceful transition. This situation has led to the government’s loss of popular support. An important sector of their militants (committed members) gravitated toward the more critical sectors that were capitalizing from this growing discontent. 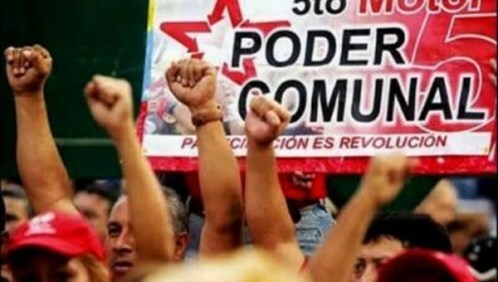 Organizations such as Marea Socialista – part of de facto expulsions from the PSUV – have participated in this discontent. Programmatically, the critiques do not differ from internal PSUV critiques, yet they highlight more the need for audits, tackling corruption, etc. In our view, they do not point to the structural dimensions of the current crisis. Given their scope and level of integration within the organizations of the working class, they do not constitute a real alternative to the political situation. 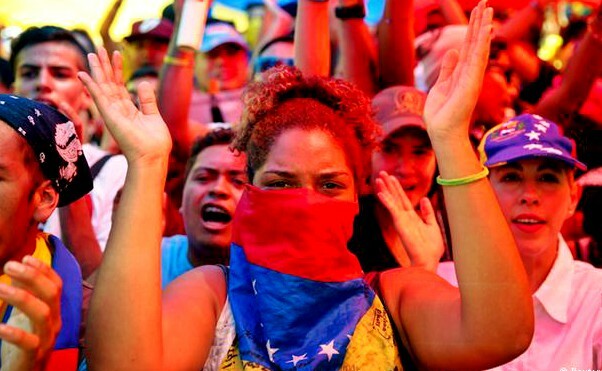 The majority of the Left – PSUV base groups that are outside of the party’s inner circle – remain unresponsive regarding these dangerous developments. An important aspect of this passivity is that an entire generation of young people cannot fathom losing the government after 17 years, while a minority is aware of these possibilities. But their main focus has become the upcoming electoral victory of Maduro that overstates the democratic safeguards of bourgeois institutions and the continuation of a PSUV electoral apparatus following a defeat that will not be solely in the ballot box. This will directly affect the combative organizations in the economic and social arena. As a final point, there remains a minority tendency that recognizes the consequences of a scenario that will reverse social gains and place the working class on the defensive. Unfortunately, more emphasis is given to a military strategy rather than a social response, in which its implications can be as disastrous as the as experiences of the ‘60s and ‘70s. There persists a disturbing inertia by sincere revolutionary sectors that await a new leader or leadership, rather than organize and renew a strategic and programmatic discussion in their base. In the last few years, Leftist organizations in Chile have organized a series of discussions about building a strategic road towards usurping capitalism and its neoliberal components, with socialism as its horizon. 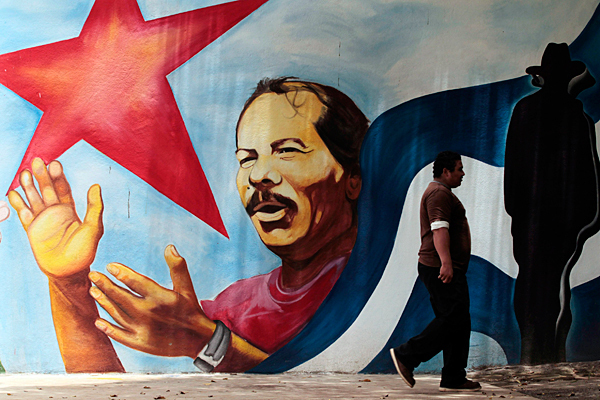 References to the progressive or Leftist governments in Latin America have been inevitable. Unfortunately, these experiences are evaluated from a superficial and uncritical eye. From a Latin American framework, these processes are marked by stagnation, retreat, or crisis. The various governments, with noticeable differences, came to power in opposition to the dominant neoliberal policies of the ‘90’s. We must thoroughly review these experiences, so as to clarify our own problems that arise when embarking on a path of profound transformation. In this regard, in watching the Venezuelan experience, there are several elements that seem relevant to mention. First, the policy of multi-class alliances promoted by the government, where relevant sectors of the ‘industrial’ bourgeoisie are assigned a role, seems a mistake if what is sought is a post-capitalist project. Remember that this sector is almost insignificant in a rentier economy with a character such as Venezuela’s. Moreover, it is clear that this alliance, along with those established with other countries with industrial power and their respective bourgeoisies, has not allowed Venezuela to diversify its productive matrix, based on its own industrial component that does not allow its economy to exceed its oil-rentier character. On the contrary, the alliance has weakened the Venezuelan working classes and their experiences of direct self-management of production, even giving rise to objective contradictions between the Venezuelan popular movement and the Bolivarian government. These contradictions exist not only in the economic and productive plane. One aspect that draws attention is the gap between a state apparatus at the institutional level that opens enormous possibilities for the popular role in the management of public affairs. But, in practice, a new faction of the ruling class (the “Bolibourgeois”: Bolivarian bourgeoisie) was born, as well as a highly corrupt bureaucracy. It also stifles and perverts experiences of building advanced people’s power that end up yielding to the weight of the bureaucracy or subsiding under the patronage of government logic. In that same vein, the absence of a collective leadership that can overcome the dominant political vision represented by Hugo Chavez, seems a central element which partly explains the disorientation and loss of strategic clarity of the Venezuelan popular movement and revolutionary Left. 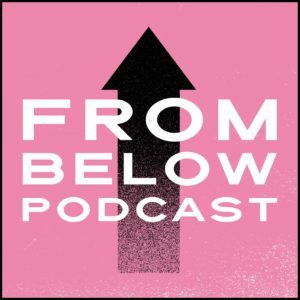 A discussion on the political tools that channel collective leadership becomes increasingly important under these circumstances. Yet, valuable comrades, both inside and outside the PSUV, have been raising these issues in recent years, but such efforts have not crystallized. Finally, while we insist that the Left must maintain a critical perspective towards this and other processes, we cannot deny that over these 17 years, the Venezuelan working classes have offered to the people of Latin America and the world numerous lessons of courage, conviction, and creativity. Even with the current difficulties being faced by our brothers and sisters in Venezuela, we cannot lose sight of the need to build and strengthen bridges of concrete and effective solidarity among peoples who struggle. There are many researchers who state that the capitalist sector, especially the ‘renter capitalist’ of the Venezuelan economy has remained intact over the years. We recommend the arguments presented by Cira Pascual, professor of Political Studies at the Bolivarian University of Venezuela. http://www.rebelion.org/noticia.php?id=206456 y http://www.rebelion.org/noticia.php?id=208627. As an example, we highlight the SIDOR case. In 2008, in response to mobilized workers, the Bolivarian government purchased the Argentine companies from Argentinian employers, mainly in the steel industry. Initially, a “workers’ control” model was presented that sought communal participation in running the factory. In the end, the government decided to run the company in a bureaucratic manner, placing military men as managers and pushing back workers’ participation. The results were disastrous, progressively slowing down production because of the economic crisis. See “Control Obrero y Autogestión, el ejemplo del complejo industrial SIDOR en Venezuela”, Sébastien Brulez, in edited volume América Latina, Emancipaciones en Construcción by Franck Gaudichaud. The COPEI political pact (Christian Democrat faction) and Democratic Action (“renewed” Social Democrats) who shared power from 1958 to 1998. Currently are part of the MUD opposition bloc (Mesa de Unidad Democrática). This is principally in the arena of working class self-organizing, but also in the realm of institutionalized policies. At one point, the political order meant an inherited institutional “siege,” but was also a reflection in running of the new state institutions (as an examples, las Misiones). See 1.3 section of this article. The emergence of the so-called “boliburguesía” is an inaccurate but rather widespread term, referring to mainly financial groups that have been enriched by access to certain businesses. They receive subsidies thanks to their proximity and participation with the Chavez government. 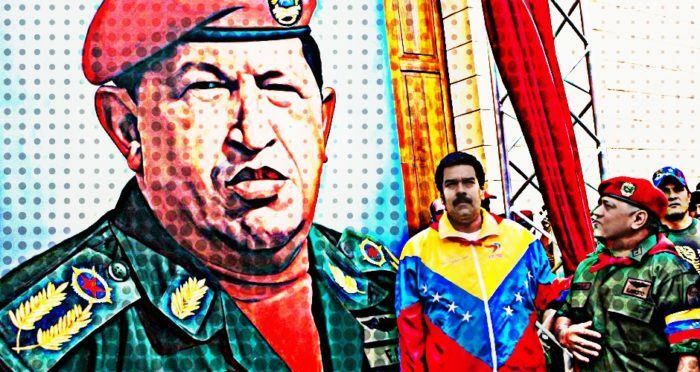 Caudillismo as an element rooted in the Venezuelan political culture is clearly evident in the excessive worship of Chavez’s image and an uncritical view of his leadership that prevails in broad sectors of the Venezuelan political and social spectrum. Nevertheless, this element predates Chavez’s arrival and is traceable throughout Venezuelan post-independence history: “As in 1814, the death of the leader who led the revolutionary movement of the masses, Ezequiel Zamora, left unfinished aspirations within the peasantry. […] Again, the absence of a solid collective leadership that continued the struggle severed the chances of triumph of the dispossessed.” Roberto López, El Protagonismo Popular en la Historia de Venezuela (Caracas: Editorial Trinchera, 2015). This parasitic character is expressed in the fact that for the Venezuelan bourgeoisie, it has historically been more profitable to appropriate oil income by importing consumer goods, avoiding the risks of investing within the country in the pursuit of the diversification of the productive matrix. For much of the 20th and 21st century, social conflicts in the country can be analyzed in the dispute over the appropriation of oil revenues. This includes the so-called “excess working class population,” those excluded from the processes of capitalist production. State participation in the economy has only increased by 0.37% between 1999 and 2014. Among others, in the development of the productive forces of the country. The high percentage of null votes during this election also resulted problems related to the same emission of the vote. The Right has increased its vote steadily since 2007, at the same time as it was minimized its gap with Chavismo. Sánchez, G. 2012. La Nube Negra. Vadell Hermanos, Editores. The bill that opens the possibility of real estate speculation with the Great Housing Mission is an example. López, R. 2015. El Protagonismo Popular en la Historia de Venezuela. Editorial Trinchera. Coincides with mega-projects in Chile such as Pascua Lama. Those that actually exist and have a popular role, not the communes that only exist on “paper” that are meant to inflate statistics. It is worth mentioning that according to interviews conducted and the limited experiences that we were able to observe, many popular organizations that existed prior to the first government of Hugo Chávez took particular advantage of the process to strengthen their organizing. Foquismo is Ernesto “Che” Guevara’s Guerilla Warfare theory; Piñate, E. 2013. El Partido Socialista Unificado de Venezuela y su Relación con el Movimiento de Masas. Editorial Trinchera. National Association of Communitarian, Free and Alternative Media: Founded in 2004. According to Modesto Guerrero, in 2006 it had 324 traditional media, web, weekly, bi-weekly, radio, television and film; in control of cinemas. Membership: 3 to 5 thousand. Factories recovered resisting eviction attempts. Communes focused on solving their problems at the local level, etc. Aggravated by an energy crisis caused by one of the worst droughts experienced by the country. Remember the “guarimbas” from February 2014 as a destabilizing strategy promoted by the Venezuelan Right, which were violent demonstrations that acquired the character of civil war trial, leaving dozens dead (mostly people associated with the process of Bolivarian change) and buildings destroyed. See “Una Revuelta de Ricos, Crisis y destino del Chavismo”, by the journalist Modesto Emilio Guerrero. The fascist expressions of these revolts are also described by the author. If the recall referendum is held in 2017 in which Maduro loses and no new elections are called, the vice president assumes the executive until the end of the period. Lo que en Chile se llamaría ‘dar un paso al costado’; abandonar la militancia, o asumir pasividad dentro de ella, resignándose al desarrollo predominante dentro del partido.